A physician-scientist and leading authority on the genetic basis of lung disease is joining the University of Arizona as senior vice president for health sciences, as one of the campus's highest-paid employees. Dr. Joe G.N. 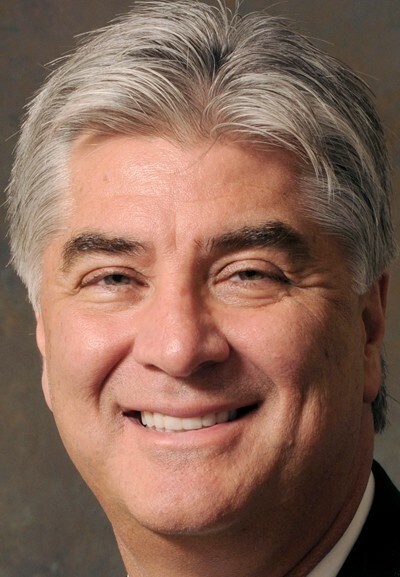 "Skip" Garcia will earn $810,000 per year, more than UA President Ann Weaver Hart, who started her job last July at $620,000 a year in salary and benefits, the highest presidential compensation package in UA history. Garcia is expected to infuse the university with millions of dollars in research grant funding and build up the UA as a leader in genetic research and an economic engine for the state, UA officials said Friday. UA spokesman George Humphrey said Garcia is the principal investigator on federally sponsored research grants totaling more than $9 million dollars per year. Garcia, who will also serve as an endowed professor of medicine, is set to start his UA job Sept. 1. He is coming to the UA from the University of Illinois, where he served as vice president for health affairs and the Earl M. Bane Professor of Medicine, Pharmacology and Bioengineering. He is a leading authority on the prevention and treatment of inflammatory lung injury, UA officials say. Humphrey said Garcia's salary is within the range for comparable positions. "Advancing the UA health sciences enterprise is a key priority for the University and the state. After a yearlong, national search we found an individual with a national reputation and proven track record in academic medicine," Humphrey wrote in an email. "Dr. Garcia is a 'triple threat player' for academic medicine: he's a noted physician (member of the Institute of Medicine), scholar, researcher and teacher and has extensive experience in similar positions. There are very few people who even qualify to lead a comprehensive health sciences enterprise and they often could make more money in the private sector." Dr. William M. Crist, who previously held the post of UA senior vice president of health services, was paid $650,000 a year. However, his job description was different in scope than Garcia's. He retired in 2011. Garcia is expected to lead the strategic integration of undergraduate and graduate education, research, service and clinical activities among the UA health colleges, centers and clinical affiliates. He also will be charged with ensuring that the UA realizes its goal to become an international leader in biomedical research. The Arizona Health Sciences Center colleges include the UA College of Medicine-Tucson; UA College of Medicine-Phoenix; UA College of Pharmacy; UA College of Nursing; and the UA Mel and Enid Zuckerman College of Public Health. Garcia will report to Hart and work in close collaboration with UA Provost Andrew Comrie and Dr. Michael Waldrum, who is chief executive officer of the University of Arizona Health Network. Garcia also will have direct oversight of the University of Arizona Cancer Center, the only National Cancer Institute-designated Comprehensive Cancer Center headquartered in and serving the state of Arizona. He earned his bachelor of science in biology at the University of Dallas in 1976 and received his medical degree from the University of Texas Southwestern Medical School in 1980. He completed an internship and residency in internal medicine at the University of Iowa hospitals and clinics and completed a fellowship in pulmonary and critical-care medicine at Albany Medical College.